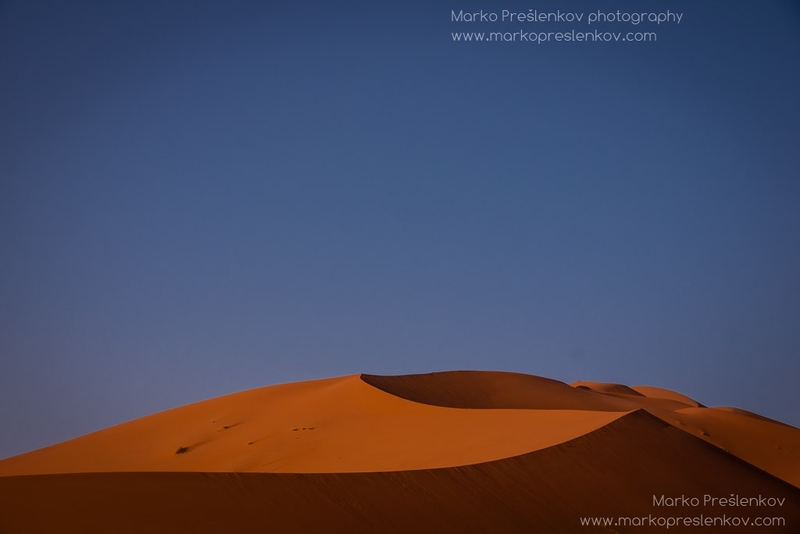 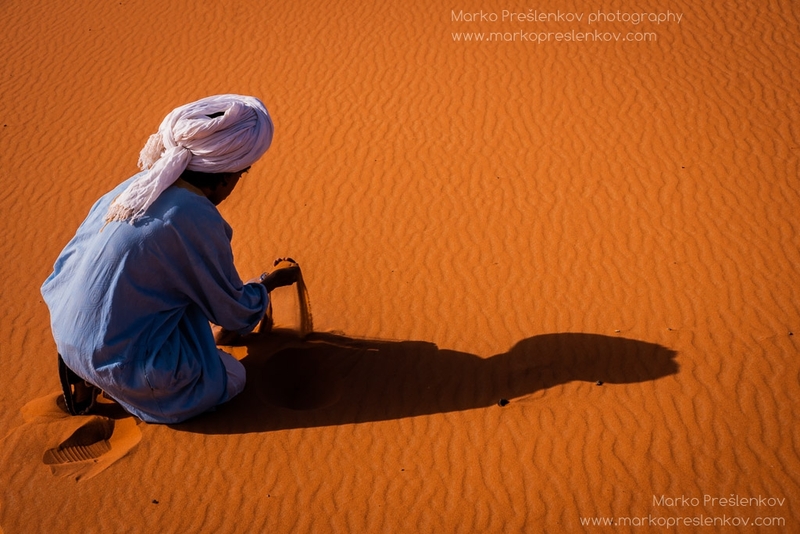 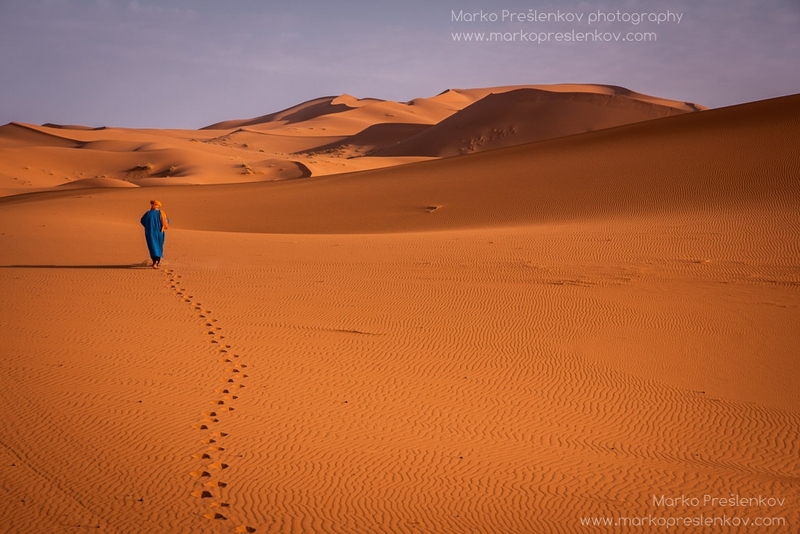 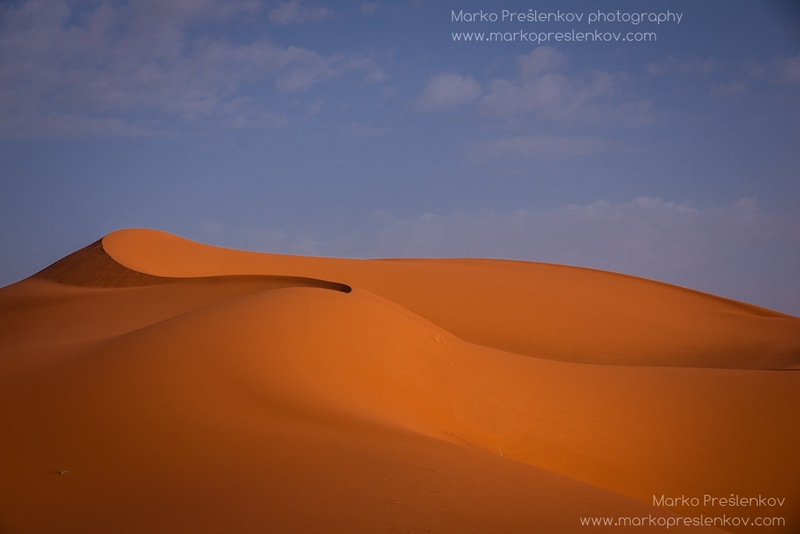 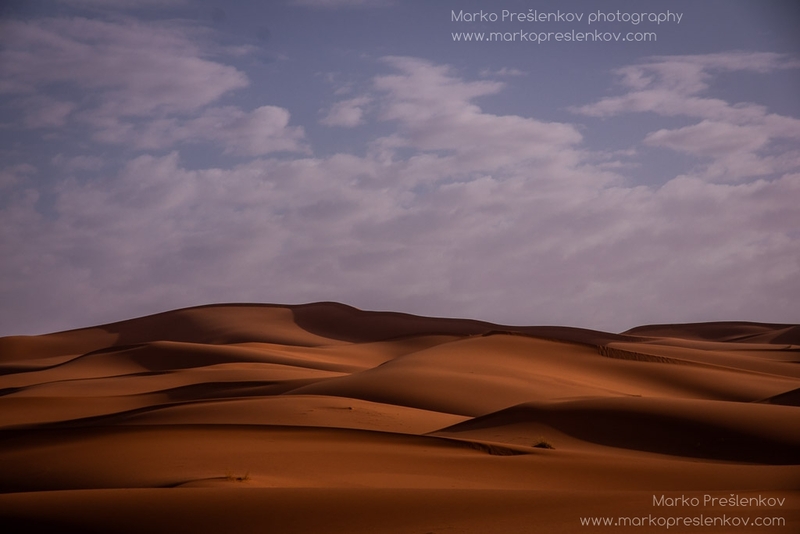 Erg Chebbi, situated near the border with Algeria, is one of Morocco’s two big Saharan ergs or large sandy dune fields. 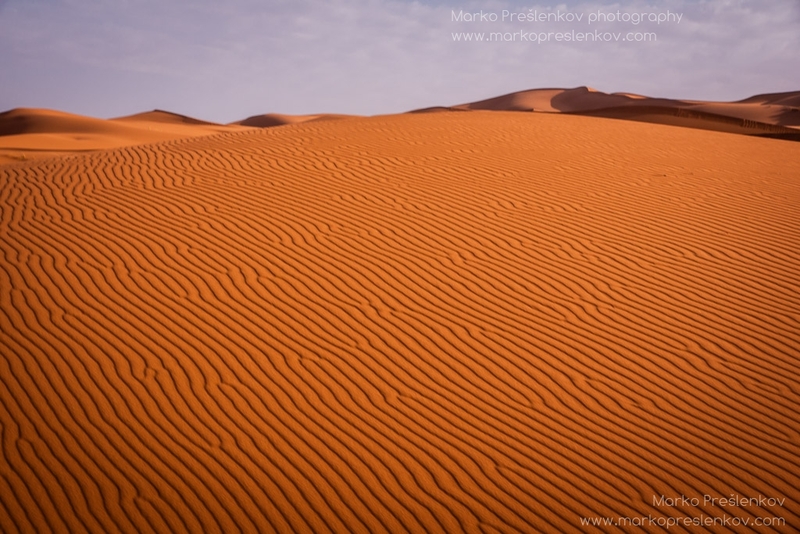 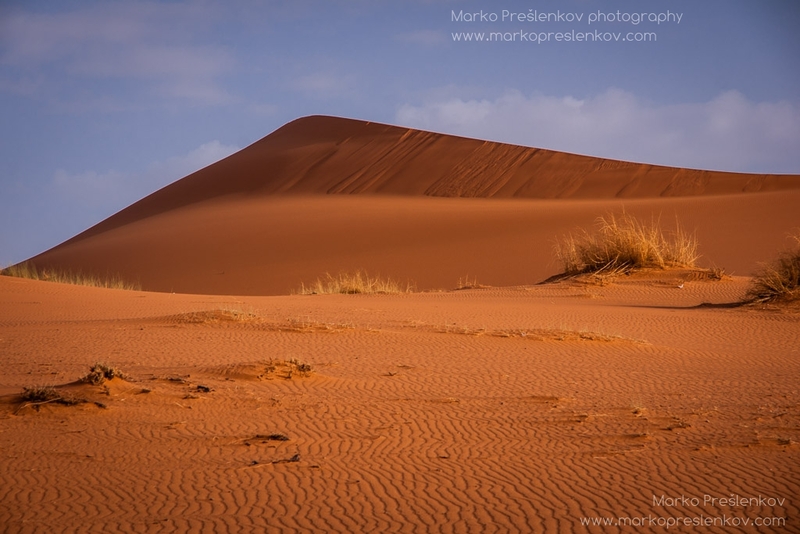 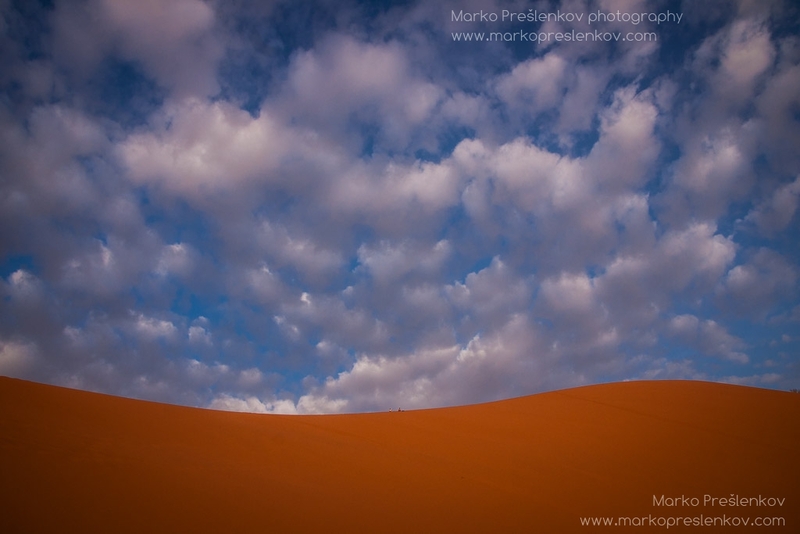 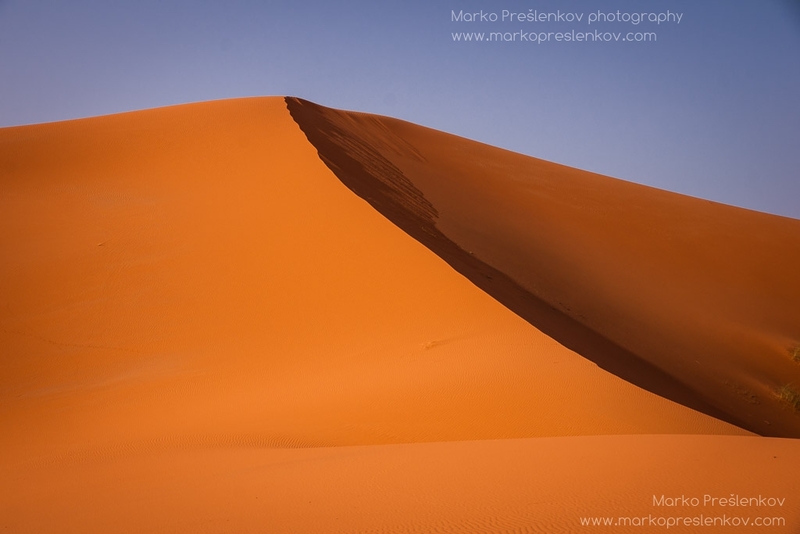 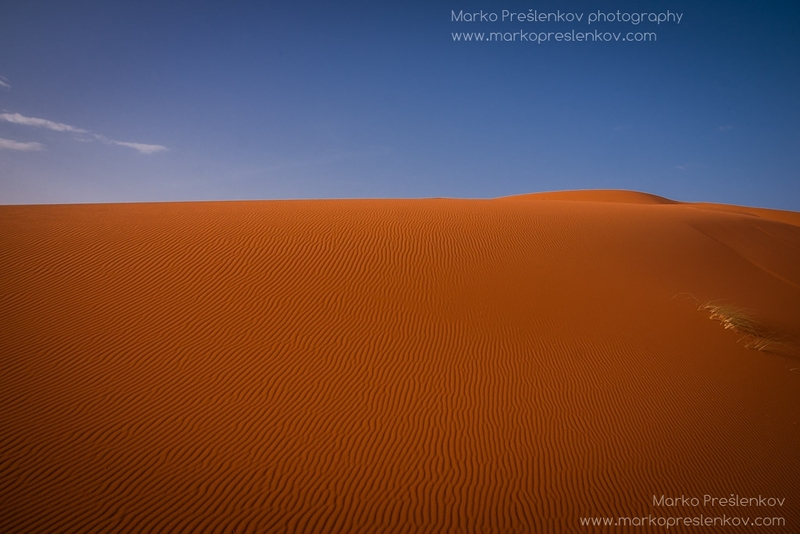 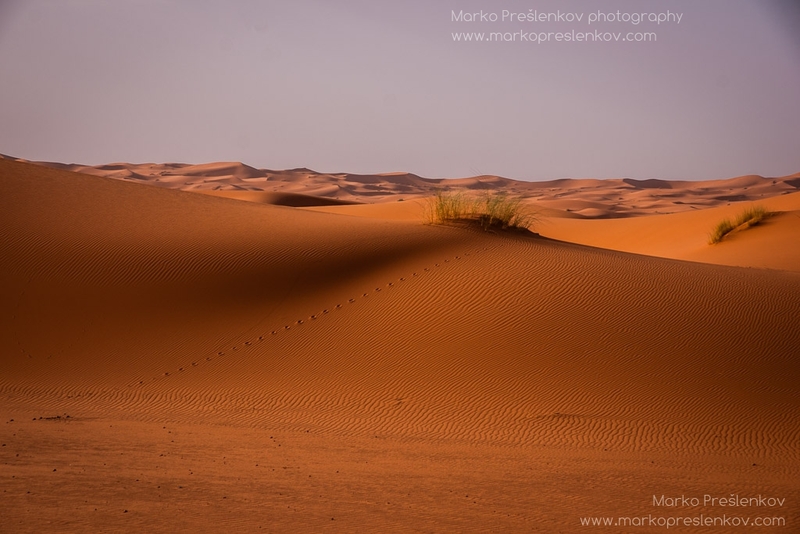 Formed by wind-blown Saharan sand, the shape-shifting dunes can reach a height of up to 160 meters and cover a vast area in the middle of the Moroccan stone desert. 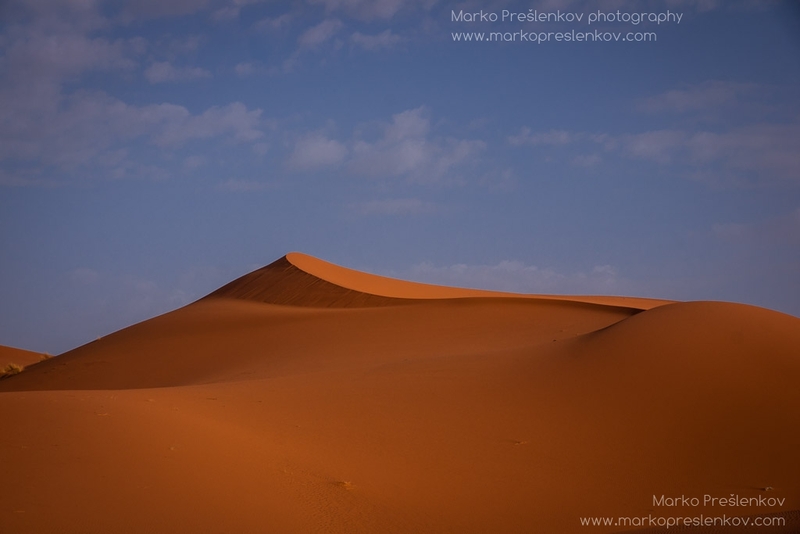 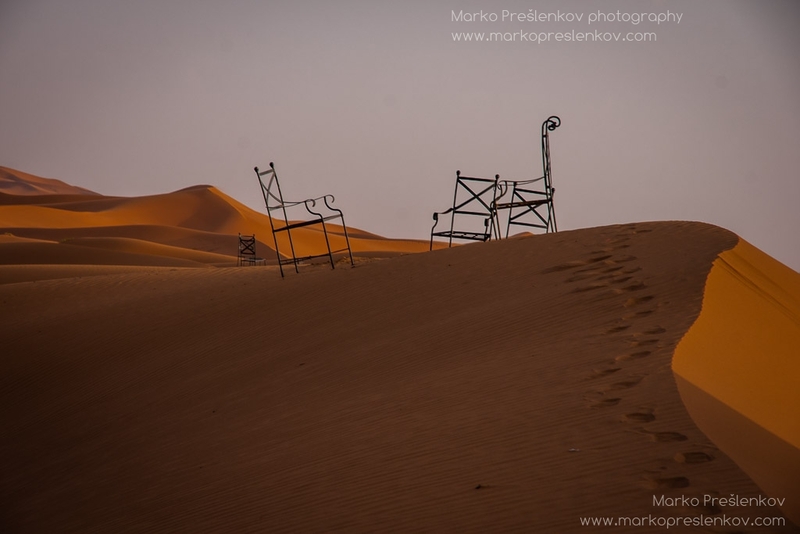 Near the edge of the dunes is Merzouga, a small village that serves as a local tourist center with number of companies organizing sunset and sunrise trips riding dromedaries deep into the sand dunes and enjoying the stunning views of sun raising and setting behind the great orange sandy dunes. 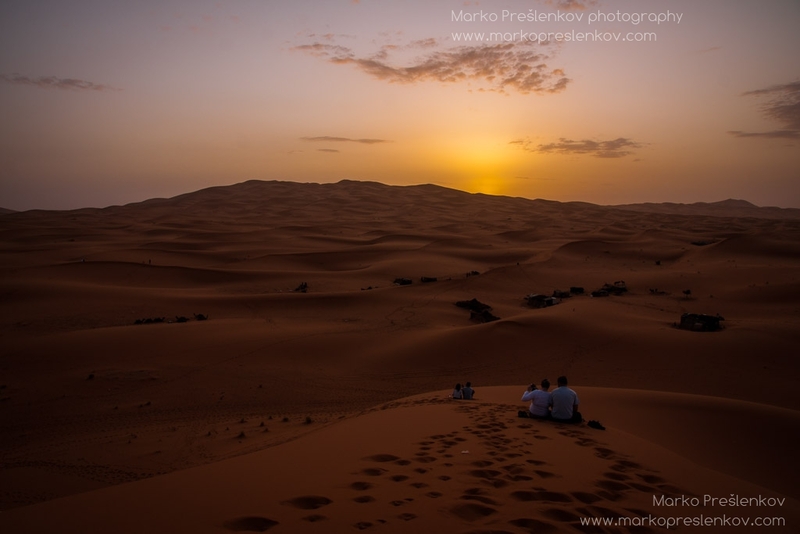 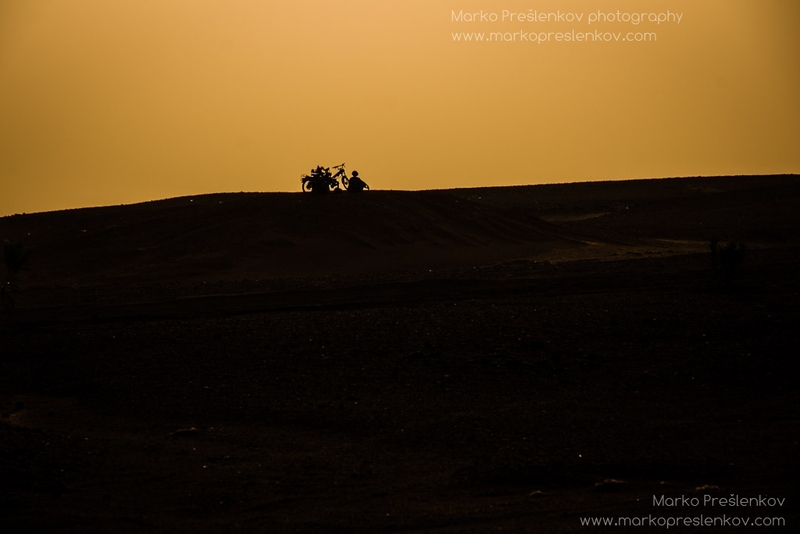 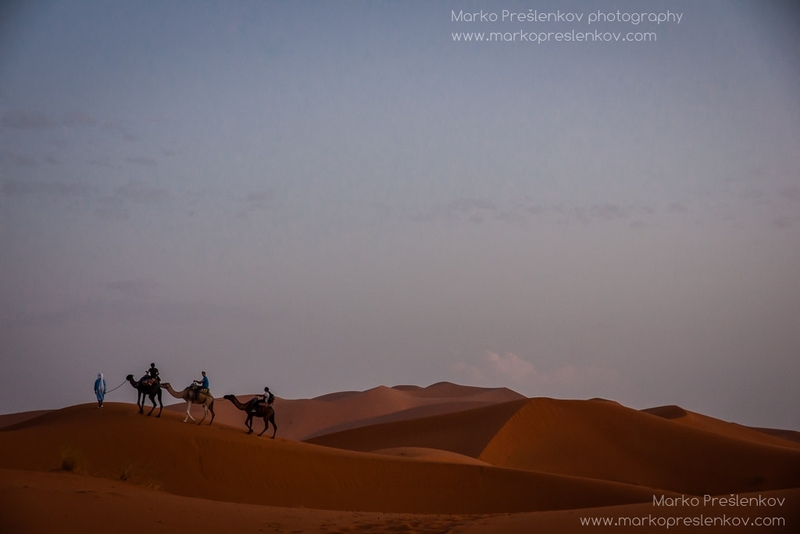 But probably the best trips are the ones taking you on the overnight stay with sleeping in Berber tents under the great dunes and great food – delightful Tajine prepared on the spot – served under the soft glow of those bright stars on vast night sky.